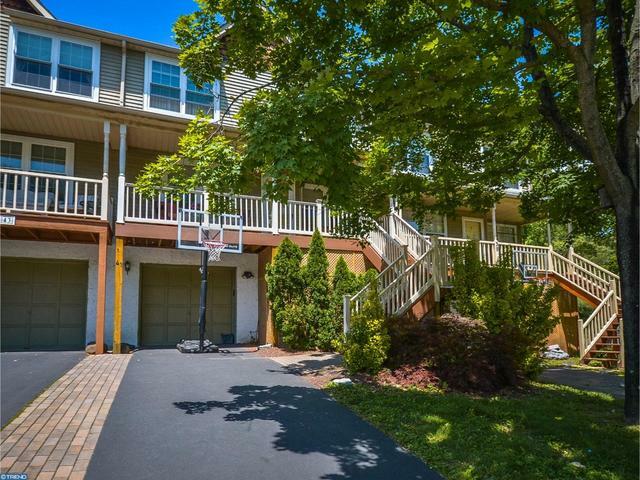 Welcome to this beautiful town home located in 100 Acre Woods Development, Northampton Township, Bucks County. Enter this home from the cozy front porch into the spacious living room and dining room. The eat-in kitchen overlooks the warm and inviting family room with fireplace and sliding door to rear deck. The remodeled Kitchen includes white cabinetry, granite counter top, upgraded appliances and marble floors. The powder room completes the main floor. The second floor includes a master bedroom suite with Full bath and large closets, three additional sizable bedrooms with abundant closet space and a full bath. There is basement for storage and a one car attached garage. There is a newer top of the line HVAC System, newer roof and sheathing, windows, driveway, walkway pavers, and front and back Timbertek Stairs, porch and deck. This home is tastefully decorated thru-out and is located in the award winning Council Rock School district. Close to schools, shopping and major commuting routes. Subject to errors and omissions, price change, withdrawal, or prior sale without notification in advance to any party.